Business leaders are being challenged to sleep out for a night when Darlington holds its first ever CEO Sleepout to raise funds in the fight against local homelessness and poverty. North-East-based charity CEO Sleepout is looking for leaders from County Durham’s most compassionate businesses who are willing to get sponsored to give up the comfort of their own bed for just one night sleeping under the stars. Mowden Park Rugby Club will host the fundraising event that will see executives of dozens of local businesses swap their laptops and office comforts for sleeping bags and the cold floor. Fundraisers are allowed to bring along a sleeping bag and mat, while warm clothes are recommended. There will also be access to hot drinks and toilets throughout the night. Since founder-chairman Andy Preston held the first CEO Sleepout outside Middlesbrough FC’s Riverside Stadium four years ago, events have been held at iconic venues across the country. Sleepout events have been held at Wembley Stadium, The Oval, Lord’s Cricket Ground, Newcastle’s St James’ Park, Birmingham’s Villa Park, Everton’s Goodison Park and at Durham Cathedral. 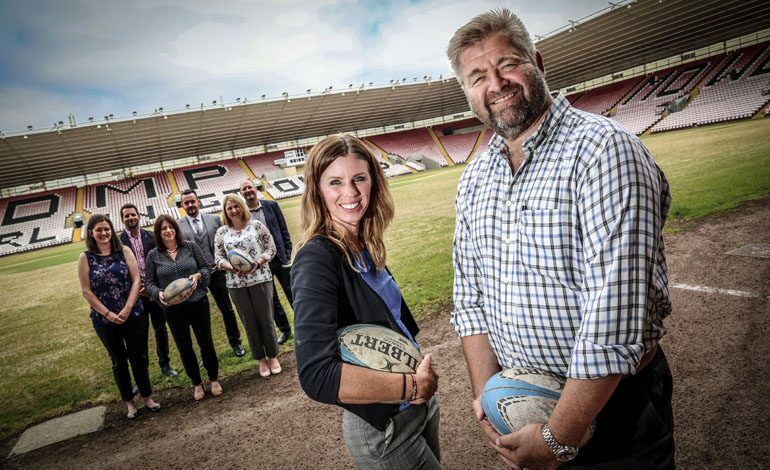 But CEO Sleepout’s Bianca Robinson said the enthusiasm and generosity of Mowden Park chairman Mick Birch and group managing director Lee Rust had helped bring the charitable phenomenon to Darlington for the first time. “We’ve been looking to bring CEO Sleepout to Darlington for some time and are thrilled that Mowden Park are enabling us to do that. “We’re now looking for the region’s business leaders to show just how compassionate Darlington and the surrounding area is to help make a real impact on an incredibly serious issue of local poverty and homelessness. “We’re hoping for at least 40 to take part. Both Mr Birch and Mr Rust have signed up to take part in the event, along with Mowden Park colleagues Nick Saint and Anne Rose. Among others already signed up for the event are Sharon Hutchinson of Darlington Business Club, Matthew Telling of RMS Recruitment, Martin Walker of Mantis Media, Matthew Knight of Rovin Environmental, Melissa Thompson of KMS Partners, Tori Gill of tgi Media, Pete Noble of Advantex, Matthew Prosser of Go Limitless and Michael Taylor of Contego Environmental. Another taking part is Janet McGuigan, a management consultant for Deloitte, who has agreed to participate in every sleepout across the country that any of her colleagues sign up to do. Each participant is asked to raise at least £1,000 in sponsorship, with funds going to rugby charities supporting vulnerable communities, homeless charity Changing Lives and a number of other local worthy causes. • Pictured above: Bianca Robinson of CEO Sleepout with Mowden Park chairman Mick Birch together with other business leaders who’ve signed up to take part in the first-ever Darlington CEO Sleepout.